Julia Juarez and Ime Benevides, two Mexican-American women from the barrio, have risen from humble beginnings to brisk, career-oriented lives in the San Fernando Valley. Inspired by their good-natured rivalry, Julia and Ime have never let anything come between them. Then enters Julia’s new coworker Ilario, who pulls both women’s heartstrings, disrupting their friendship and bringing Julia’s career to the brink of disaster. Looking for support, Julia turns to her other friends: a party-obsessed dance instructor named Concepcion; Nina, a timid but shrewd seamstress who’s not too taken with her fiancé; and Marta, a divorced bar owner preoccupied with the details of a Hollywood murder case. When they involve Julia in a risky scheme, she must choose between loyalty to her friends and a chance to live the life she’s worked so hard to achieve. Boasting irreverent, edgy humor and a clear sense of Southern Californian culture, this hilarious, insightful debut novel by award-winning author M. Padilla brilliantly captures the comforts, and dangers, of friendship. "Padilla’s compulsively readable novel is centered around a group of Mexican American friends living in California’s San Fernando Valley. The practical member of the group, Julia Juarez, is concentrating on her job as a sales rep at a security firm and trying not to get distracted by her dashing coworker, Ilario. When Ilario and Julia’s best friend, Ime, hit it off at a party, Julia is crushed but steps aside when she sees how serious Ime is about Ilario. But when her working relationship with Ilario turns hostile, Julia starts to worry about the future of her career. 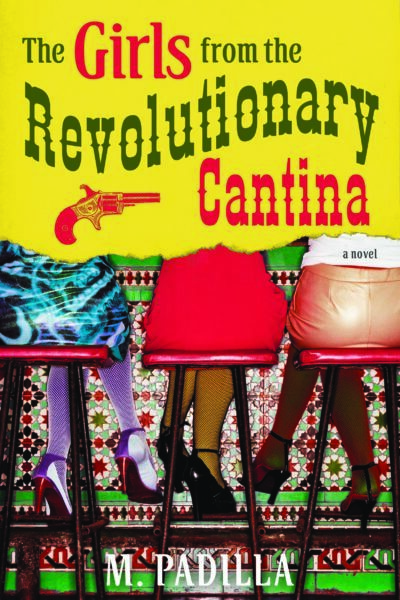 Her friends’ lives are equally tumultuous: mousy Nina is preparing to marry a man she’s not sure she loves, wild-child Concepcion has developed a fixation on a handsome actor wanted for the murder of his wife, and Marta, owner of the evolutionary Cantina, is drawn into a wacky plot launched by Concepcion. Readers will find these gals great company, and Padilla’s second outing is a rollicking good ride with plenty of flare and heart."